According to AnnArbor.com, George Clooney’s Ides of March is looking for thousands of volunteer extras for a scene that will be shot at the University of Michigan in Ann Arbor, MI during the week of March 14. Anyone interested and able to commit to being on the set of the movie for a minimum of 12 hours (on a weekday) is asked to e-mail their name, age, height, weight, phone number, and a recent picture or two to IoMExtras@gmail.com, with “March Volunteer” in the subject line. Ryan Hill Casting is handling extras for the Michigan portion of filming. 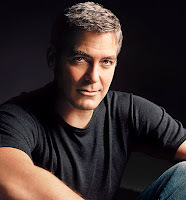 The film, which is currently filming in Cincinnati, stars Clooney, as well as Ryan Gosling, Paul Giamatti, Marisa Tomei, Philip Seymour Hoffman and Evan Rachel Wood.